My dad got my mama pregnant when she was 21. I was born five months after their wedding day. I asked them when I was in high school if I was born premature (wink wink haha) because it can't be possible -- I was born just five months after? NO FREAKING WAY. But then of course, naive me found out -- when my dad's swimmers found a will, they found a way, and apparently I was the first one who crossed the finish line. (Yay!) Out came a love child. My parents never had a church wedding. They did it in front of a judge at the city hall 25 years ago the exact day I'm writing this. There were no engagement shoots nor wedding photos, a grand venue nor buffet food, nor a wedding gown to die for. There was just a piece of paper, a written consent from both parties agreeing to commit to each other for a lifetime and two matching rings that tell they belong to each other. More than that piece of paper and the two rings though, were two souls married into one, an unspoken promise to each other that was made before an invisible God who took care of the rest of their lives together. They are not the perfect couple. Each one gets on the other's nerve every once in a while. I already saw tears, heard raised voices and slammed doors, and felt anger and too much sadness inside our home. 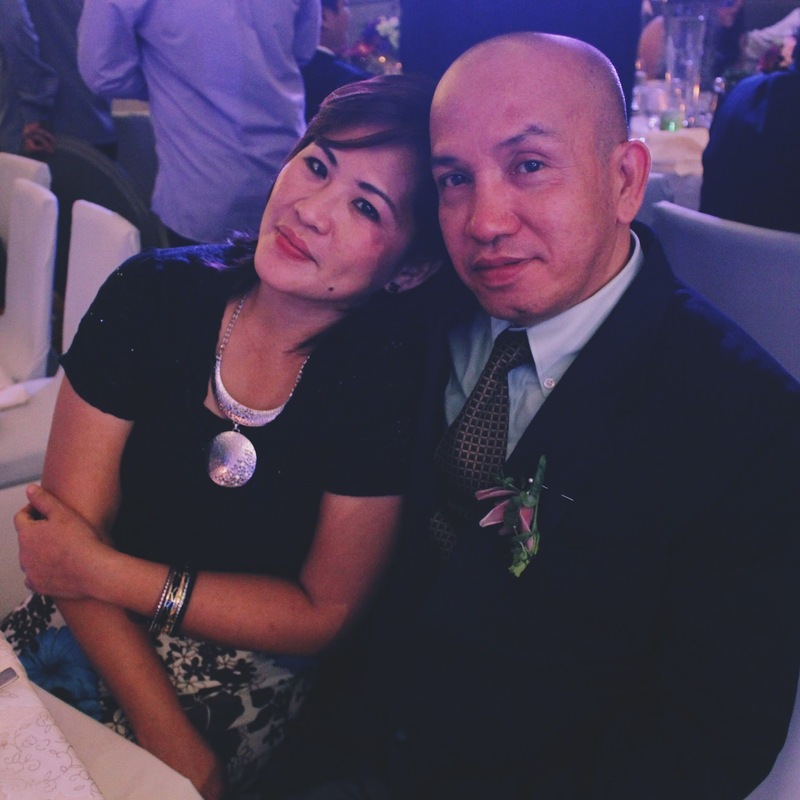 My parents are far from perfect, scarred, and flawed. But what amazes me is how they've grown as humans throughout the years. How much they love each other with the imperfect love that they have. It amazes me that they can't end the day without comforting each other after fights, how much that silence means. How easy it seems to let go of the little, petty things, and how they find ways to freely laugh despite how bitter life can get. It amazes me, beyond words, how they've worked it out every single day for 25 years and still have that hint of crazy, young love in their eyes. How they hold each other seems to know no age. With a true story of love before me, that I see and experience every day, that even produced me together with my three younger siblings, it's hard for me to believe and accept #WalangForever. Technically and sarcastically, it may be correct, but I've seen enough to know that there's hope for this kind of forever, if we only believe. I don't know what it's like to be in a relationship because I've never tried it, and most likely this is the idealistic me talking, but I know and believe it is possible. I know that when we put God in the equation of me + you, it would be impossible to break it. It would be unthinkable, even. I know the times have changed and #WalangForever is trending in our relationship statuses. But I think, if we truly pray about it, if we just let God move on our behalf while we work with ourselves and learn to be happy with who we are and who we are not, it will come naturally, in its right time and place. It will surprise us. To my parents who are celebrating 25 years together islands apart, thank you for making me a witness of what true love is and making a life that #Forever is worth believing in.